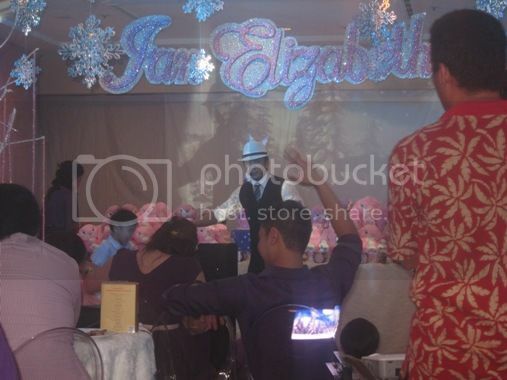 We have attended the Winter Wonderland christening party of Jan Elizabeth (“Jen Jen”) held at the function room of Discovery Suites in Pasig City last December 18, 2011. Jen Jen is the youngest child of my high school friend Ana. My son had a bad cough that day, but he really wanted to go. I had no choice but to give in to my little boy’s request because he really likes going to parties. Justin immediately lined up at the glitter tattoo booth to have two tattoos placed on his left and right arms. He then went to grab not one, but several, cotton candies. The Dippin’ Dots ice cream came next. Alakim performed a magic show while the guests were enjoying their sumptuous lunch. Guests from ages 0 to 70+ went home with lovely baptism keepsake gifts, too. 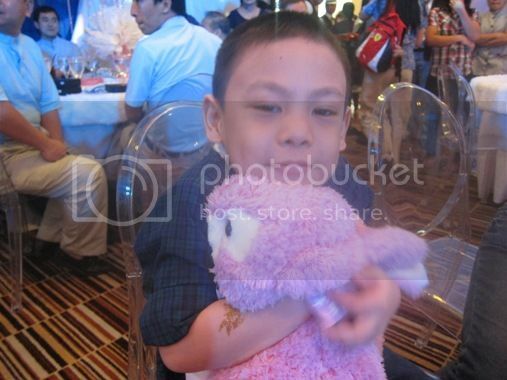 My son really loved the christening souvenir he got, a huggable bunny stuffed toy. Thanks, Ana, for inviting us! 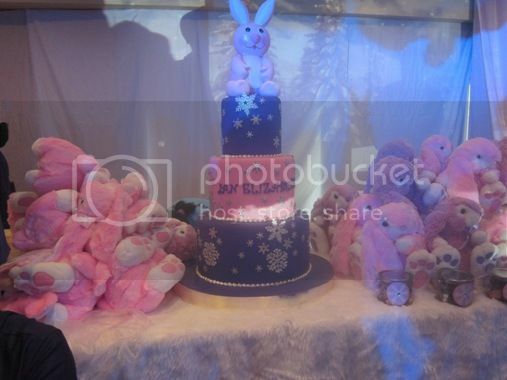 This entry was posted in Baptism, Baptism Party. Bookmark the permalink. Justin seems to have had so much fun!